Satan's Playground Is a 2006 American horror film directed and written by Dante Tomaselli. The film was released on August 22, 2006 and marked the first time Tomaselli did not serve as the producer of his own film. 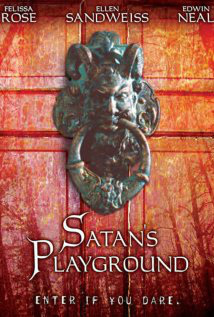 Satan's Playground stars Felissa Rose, Ellen Sandweiss, and Edwin Neal. The film was made on a budget of $500,000. 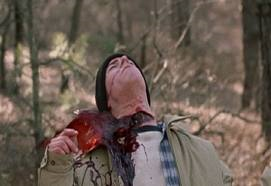 Plot: SATAN'S PLAYGROUND is a supernatural shocker chronicling a family's spine-tingling odyssey in New Jersey's legendary Pine Barrens region. En route to a wilderness camping retreat, their car inexplicably breaks down. As darkness falls, panic sets in. Then the marooned family stumbles upon an ancient and seemingly abandoned house. And it is here that they meet the bizarre Mrs. Leeds who lives there with her equally unhinged children. Offering no assistance, she warns of a violent, unseen force lurking in the forbidding countryside. Soon, the family will encounter a supernatural evil older than the woods themselves. SATAN'S PLAYGROUND...a place where deadly myth becomes gruesome reality.